How Do I Know If I Need A Lawyer After A Semi-Truck Accident? When a motor vehicle accident occurs involving one or more passenger vehicles, the insurance companies who insure the drivers will usually investigate the collision at some point. However, many times the investigation will have a lower priority, and will not commence for several days or even weeks or months. The investigation of a typical collision is usually accomplished by ordering and reviewing police reports, interviewing witnesses, and inspecting the vehicles involved for damage and malfunctioning parts. This is all part of a concerted effort to establish responsibility for the accident and determine the potential cost of resolving the claim or claims involved. Although it is not unheard of for trucking companies to take the same approach after one of their commercial vehicles is involved in a collision, usually the investigation is commenced immediately. Also, the trucking company’s investigation may be much more intensive and wide-ranging in determining all potential causes of the collision. For example, it is not uncommon for the trucking company’s lawyer and experts to arrive on scene soon after the collision has occurred. The company’s efforts to mitigate their loss, risk, and exposure to subsequent claims by others begins immediately. Usually, the company is interested in making sure that its exposure to third-party claims of property loss and injuries is mitigated as much as possible. The injuries and other forms of damages that typically result from a semi-truck accident are often exponentially higher than what we see in passenger vehicle accidents. 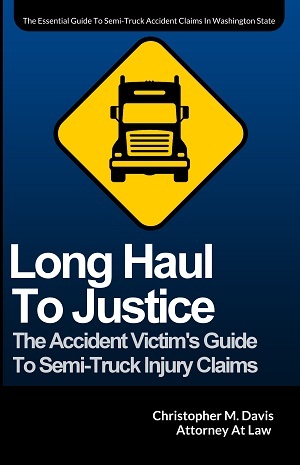 What this ultimately means to a trucking company is that they could be on the hook for millions of dollars after an accident, and their first goal is to either place the blame squarely on someone else, possibly including the injured victim, or trick the injured victim into accepting a settlement that is far less than what the victim could be entitled to under the law. If you're currently searching for a personal injury attorney, you’re probably well aware of the aggressive and sometimes unethical business practices insurance companies often employ in order to increase their corporate profits. Trucking companies are even more notorious for their aggressive approach to defending bodily injury and wrongful death claims in the event that one of their vehicles is involved in an accident. In some cases, the conduct that these companies and their lawyers engage in is even more appalling than the behavior I expect to see from car insurance carriers. Trucking companies know that there is always a risk of one of their vehicles being involved in a serious crash, and the larger companies will typically have a team of people – including collision experts and lawyers – standing by for the sole purpose of responding to the scene of a serious accident. If they don’t have an incident response team in-house, chances are good that they have a retainer agreement with a law firm dedicated to defending trucking companies. These corporations know that collecting evidence within the first few hours after a crash occurs can be vital to their ability to successfully defend a claim, or at the very least minimize their financial responsibility when it comes to compensating the injured victims or surviving family members. It is not uncommon for trucking companies to immediately send their incident response teams out to the scene of a serious crash. In a collision scenario, the trucking company’s response team can collect and document critical physical evidence, interview witnesses, and record statements from their own driver(s) within hours of the crash occurring. Furthermore, these response teams are notorious for ambushing injured victims at the scene of the collision – a time where crash victims are typically hurt, disoriented, and confused – or even going as far as to track the victim down at the hospital. 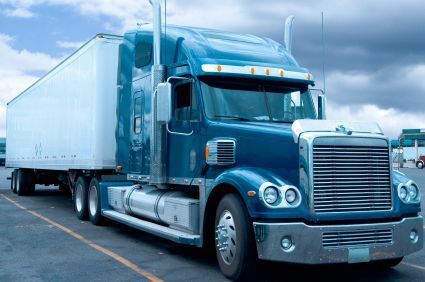 This approach gives the trucking companies access to all the relevant evidence and witness statements, which puts the victim at an immediate disadvantage. This means that if you have been in an accident with a commercial vehicle, it is a very good idea to consult a trucking accident attorney as soon as possible. You need someone who can start investigating your case before the trucking company has time to put their spin on the facts of the accident.